A healthy refrigerator is a happy one and they’re going to be able to keep all the food inside cool which is their main job. When the fridge is not operating properly not only can this cost hundreds of dollars in lost food, but it can also mean that you must put down money for a new fridge. Here are 10 ways that you can keep your fridge in the best working condition, so you can keep it running properly. Keep the fridge away from the stove or oven in the kitchen. The heat from these other appliances is going to make the fridge run harder than it has too. Avoid mindless opening of the fridge. Opening and closing often can put wear and tear on it which then causes it to break down even further. Always make sure that the gaskets are in good condition and cleaned regularly for optimum performance. Make sure it is a few inches from the wall when it is installed to allow the hot air to move out from behind it. Make sure to clean everything inside and out on it. A good wash is going to go a long way when keeping a fridge in good condition. The more stuff in your fridge, the more efficient it is going to be at keeping everything cool. Everything is clustered together so it must work less hard to keep them all cool. Organize the fridge when it is cool inside the home and not during the next heat wave. This will reduce the amount the fridge has to work to keep the inside cool. Make sure everything is stored properly in the fridge, including leftovers in airtight containers. This will keep the fridge from getting too much condensation. If the kitchen is too hot in the summer time, it is time to turn on the central air. Keeping the kitchen cool reduces the amount that your fridge must work to keep cool. 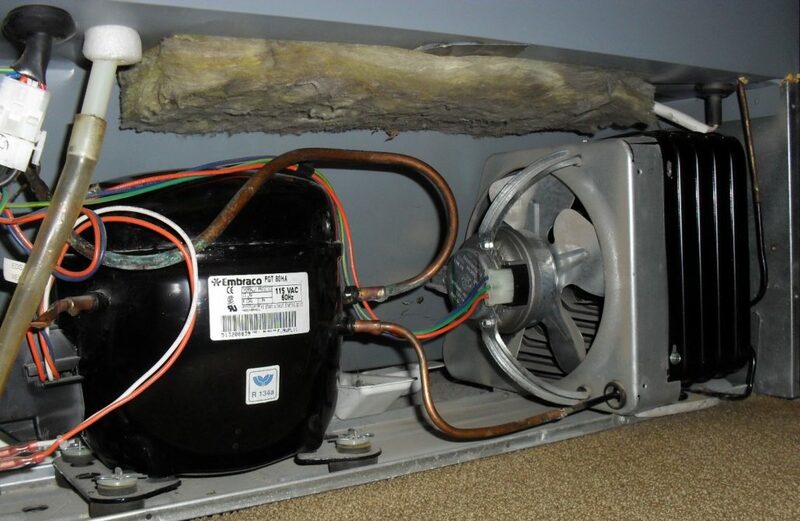 Make sure to vacuum the back of the fridge to remove any dust or build up that might have built up back there. Contractors Today pairs clients with the best refrigeration contractors currently working in your area. Let us help you get connected with them when you give us a call or fill out our form below.